Shortly into our trip around the world, Tony and I discovered that trying local cuisines is our favorite part of traveling. There is so much you can learn about a culture and the history of a location through its food. Plus, in almost every country we have visited, the food has been spectacular. 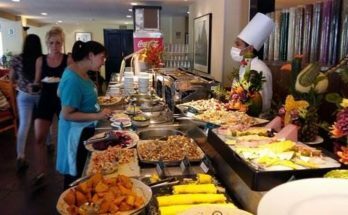 Our RTW trip began in South America, which was a perfect place to whet our appetites for all the great cuisines we would be tasting across the globe. We travelled to Peru to hike stunning Machu Picchu, but we got the added bonus of eating like kings during our three weeks in the country. Peru was where we were able to get adventurous with our pallets and try the local favorites in Cusco, such as Yuquitas Rellenas and Cuy (a.k.a. 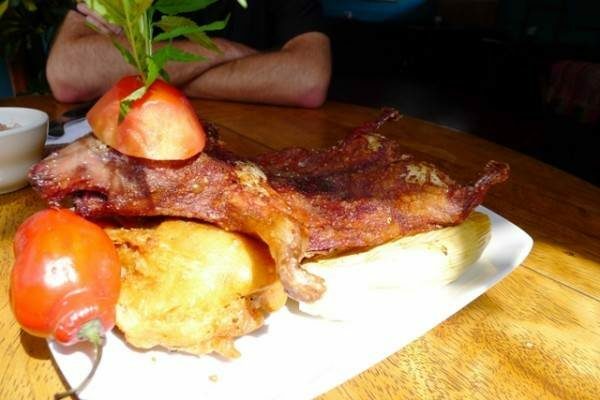 Guinea Pig). One of my favorite days in Cusco was spent at the Choco Museo learning the history of cacao production in Peru all while making our very own chocolate treats. After hiking cold Machu Picchu for four days, we were boiling in the summer heat when we arrived in Lima, but loved cooling off with refreshing and citrusy plates of Lima’s famous fresh ceviche. 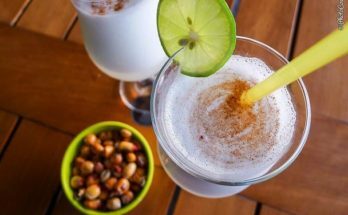 We also made sure to hit up happy hour for some thirst quenching Pisco Sours with Cancha Salada. Judging aside, by the time we arrived in Peru, we were missing some of our home favorites and had to indulge in some American classics. Before you roll your eyes in disgust, Peruvian McDonald’s make some mean McFlurries! learned how to properly cook fresh fish in our hostel after visiting the Mercado Central fish market, and discovered our love for Lomito sandwiches and croquettes. For part of our trip in Santiago, we had the privilege to stay with friends that lived in the city and got to enjoy authentic family meals of mouthwatering Machas a la Parmesana and baked Chilaquiles. During our hiking adventures down in Patagonia, we also were surprised to learn that the best empanadas in the country came from tiny roadside stands, where they were freshly baked or fried on the spot. YUM! It’s a shock I didn’t gain weight in Argentina, considering how much food I ate. I guess a huge part of this was because I was subconsciously following the Atkins Diet while I was there. Argentina is known for its delicious meats and steaks and it did not disappoint. The steak and meat came in all shapes and sizes. And whether we went to the local butcher and grilled them up ourselves, or had them dining out, steaks were delicious and cheap. I was in heaven. Despite the popularity of meat in Argentina, veggies are also accessible and plentiful (ignore rumors to the contrary). Argentina also has wonderful dishes, such as pickled and fried eggplant, Spanish tortillas, fired chard, stuffed mushrooms, homemade potato crisps, and empanadas galore!We found that Buenos Aires was also a melting pot of cultures. There are many Italian immigrants in the city, which means Buenos Aires has some exquisite Italian food. Buenos Aires is also known for their vibrant Closed Door Dining scene, where you can visit underground restaurants that serve up fantastic Asian fusion cuisine at a chefs home. But apart from the amazing red meat and variety of cuisines scattered throughout Buenos Aires, Argentina knows how to excel in ice cream and desserts. I never went a day in Argentina without a daily dose of ice cream or chocolate. 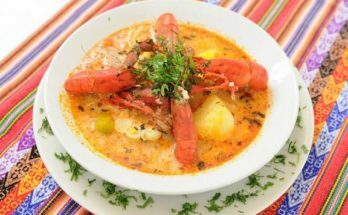 We did not spend too much time in Bolivia and did not get a chance to try many of the local dishes (although, we heard from many backpackers that Bolivia lacked in the food scene). However, Lake Titicaca was the perfect place to get fresh trout straight from the lake. With fish this fresh, the simplest preparations are best. South America treated our bellies very well. We will always remember the meals that we had and everything we learned about the culture in Chile, Argentina, Bolivia, and Peru through their remarkable dishes. Have you ever travelled to South America? What were some of your favorite local dishes?